Hello, there! My name is Leslie and I’m Adells little sister. I’m so glad she said I could guest post today but I am even more glad that she decided to start this blog in the first place! If you don’t know, Adell has ALWAYS been the baker in the family and for very good reason…She. Is. Good. And I’m not just saying that to try and make up for all the times I’ve sneaked into her closet to steal her clothes growing up…although Adell, it would be good if you knew I was sorry about that. I was young and you were just so stylish. Anyways, if you’ve been able to take a gander at what she’s already shared on here, you’ll already know how good she is. So, today I’ll be sharing a modest (yet, very delicious) Strawberry Jam recipe that I found in the first cookbook I bought after moving to England. And if there’s one thing I’ve learned about the English since living here, it’s that they love their jam! I do too, so here it is! We were lucky enough to pick our own at a local farm since it has been peak strawberry picking season around here. 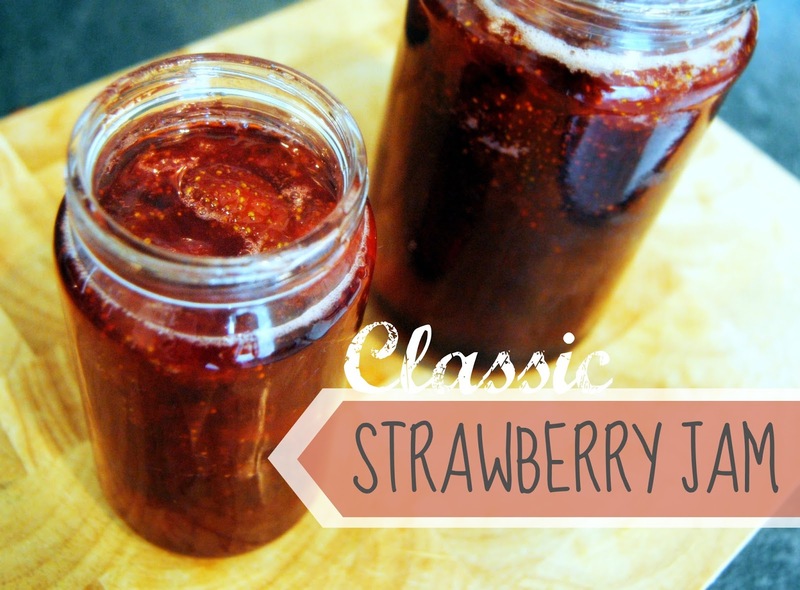 Classic Strawberry Jam – Ingredients have been converted to USA friendly measurements! 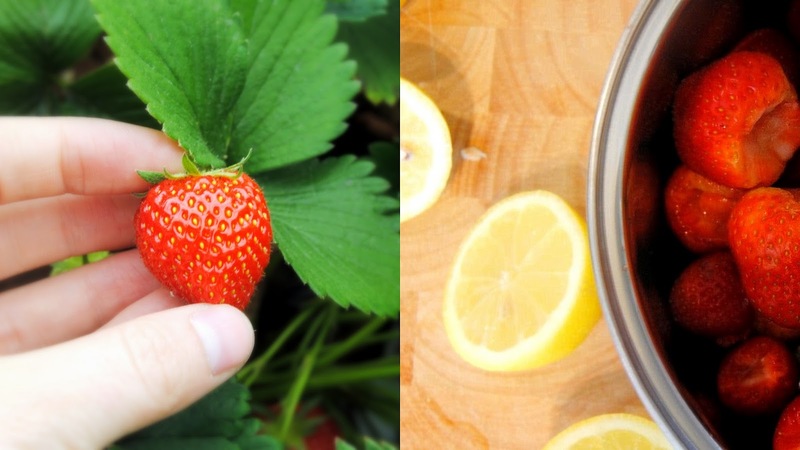 Place the strawberries in a pot with the lemon juice and simmer over a gentle heat until the fruit has collapsed and is very soft. Add the sugar and stir occasionally until the sugar has completely dissolved. Add the butter and bring to a rapid boil until the jam has reached its setting point*. Leave to cool then pour into warm, sterilized jars (I boil mine) and either seal or keep refrigerated. Use immediately or follow proper canning guidelines. Makes about 2 pints. *One way to determine if it’s at its setting point is to test if a small amount gels on a very cold plate (you can keep one in the freezer). My husbands favorite way to enjoy strawberry jam is on top of a warm, toasted Crumpet (which is just basically an English Muffin) Try it out! Yum! This looks so good and strawberries are on sale this week at Sprouts! Yay! Thanks so much for sharing. And I'm glad you borrowed my clothes, makes me feel better about all the times I was not such a nice older sister 🙂 And where can I get a crumpet like that! That looks amazing.